Myanmar or Burma as it was earlier known is a country situated on the southeast of Asia. 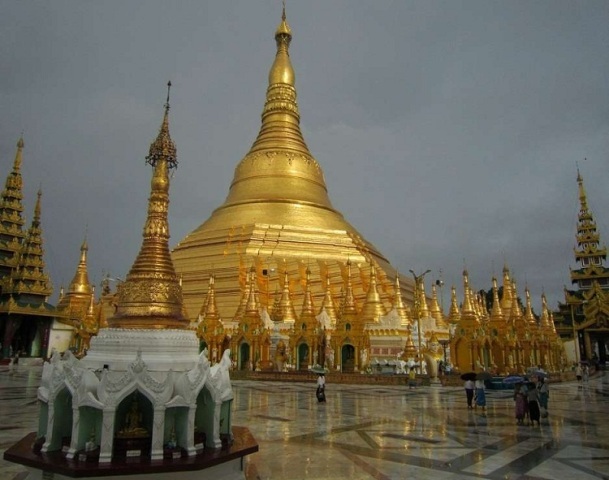 Read on to find out some interesting and fun facts about Myanmar. Myanmar is a country that is located in the Southeast Asia. It was earlier called Burma but its name was changed to Myanmar in 1989. China borders it on the north and northeast while on the east and southeast, it is bordered by Laos and Thailand. This is a country which is composed of 135 main races, of which some of the prime ones are Kachin, Kayah, Kayin, Chin, Bamar, Mon, Rakhine and Shan. The name Myanmar is derived from the local name Myanma Naingngandaw, which is a name used by the regime which is currently in power there. While the real meaning of the name is not clear, it is interesting to note that it has been used since the 13th century, mainly to refer to the ethnic group of Myanma. The population of Myanmar is about 60 million. The main language spoken in the country is Myanmar though English is also widely spoken and understood. Myanmar is very rich in natural resources like petroleum, timber, tin, antimony, zinc, copper, tungsten, lead, coal, some marble, limestone, precious stones, natural gas and hydropower. The climate of Myanmar is generally humid, and it receives less rainfall but the temperature remains quite mild all through the year. The Irrawaddy River in Myanmar is believed to be a symbol of ‘continuity’. Myanmar, which has a total area of 678,500 square kilometers, is the largest country in mainland Southeast Asia, and the 40th-largest in the world. It is somewhat smaller than the U.S. state of Texas and slightly larger than Afghanistan. The country has been plagued with rebels in various ethnic areas ever since its independence. Myanmar is divided into states, divisions, townships, wards and villages. The national currency of Myanmar is Kyat. More than 20,000 people were killed and thousands were left homeless, in the May 2008 Nargis Typhoon, which destroyed villages and rice fields. Major credit cards are not always accepted in Myanmar, so it’s always better to carry some cash. In 2006 the capital of Myanmar was moved from Yangon (formerly Rangoon) to Nay Pyi Taw. Initially, many Burmese girls served the courts of the Kings of Siam, now known as Thailand. There are four major rivers in Myanmar: Ayeyarwaddy River, Thanlwin River, Chindwin River, and Sittaung River. Myanmar has three main seasons, hot season (March to May), rainy season (June to October) and cold season (November to February). Mandalay, the last capital of the Myanmar Kingdom is the cultural center of the country. The lowest point in Myanmar is the Andaman Sea (0 m) and the highest point is Hkakabo Razi (5,881 m). Myanmar depends on agriculture for more than half of its GDP. The ethnic origins of Myanmar are a mixture of Indo-Aryans, who moved to the area in 700 BC. Literacy Rate in Myanmar is 83 per cent and life expectancy is 57 years. Myanmar is endowed with a rich ecological diversity. Here, you will find about 100 bird species, 300 reptiles, 7000 species of plant life and 300 recorded mammal species. The rich ecological diversity is also an important national asset. Myanmar is mostly a Theravada Buddhist country. Here, you will also find other religions such as Buddhists, Hindus, Taoists, Muslims and Christians. Under British rule, Myanmar was the richest country in south-east Asia.